Rare is a company that is fondly remembered by many Nintendo fans. While it had success on the Super Nintendo Entertainment System with the Donkey Kong Country series, it was during the years of the Nintendo 64 that the development studio truly came into its own. It produced hit after hit, arguably saving the 64-bit system from the depths of failure. One of these titles was Banjo-Kazooie, a brilliant 3D platforming game so good that some consider it to be better than Nintendo’s seminal Super Mario 64. With its engaging gameplay and impressive visuals (especially for 1998), it proved a considerable success for the company. The game's soundtrack was originally scored by legendary video game composer Grant Kirkhope, and it was in this particular area that it truly excelled; to this day, many of the title’s catchy themes are ingrained in our brains. The Banjo-Kazooie Symphony is an album produced by Blake Robinson, a British video game music composer and orchestrator. If you’ve heard of him before, that’s probably because you’re familiar with some of his other work under the guise of The Blake Robinson Synthetic Orchestra, such as the impressive Super Metroid Symphony album (we also interviewed him a short while back). 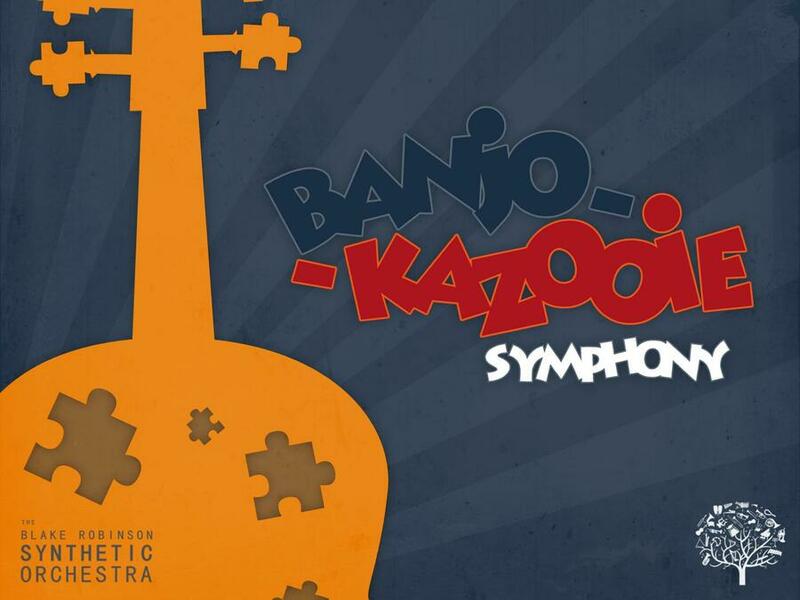 This new album features 30 tracks from the original Banjo-Kazooie, all of which have been recreated in full orchestral flair. The end result is a soundtrack that stays true to Grant Kirkhope’s original compositions, yet breathes a fascinating amount of new life into them at the same time. A key complaint that often arises with unofficial recreations and orchestrations is that they just don’t sound right; they either fail to capture the essence of the source material or are morphed into an unrecognisable mess. When it comes to Banjo-Kazooie Symphony, absolutely everything is spot on, to the point that you could be forgiven for thinking that Grant Kirkhope himself had put all this together. Every note is as it should be; the tempo for each track is perfect — making it all sound instantly recognisable — while the instrumentation is superb. With regards to the latter point, there are a few key songs that highlight the wise choices that Robinson has made. For example, the original introduction theme, which featured crude banjo and kazoo sounds, is now brought to life with an eclectic mix of strings, horns and woodwind instruments. In other tracks, Blake has clearly broken away from the comfort zone in order to experiment with new ideas. Spiral Mountain was once a simple ditty; now it features impressive voice work, with a glorious, manly chant of “Spiral Mountain” building up the momentum. Banjo-Kazooie features a number of diverse gameplay locations, each with their own distinctive sound. Thankfully, none of this has been lost during the transition to orchestration. Treasure Trove Cove and Beneath the Waves still evoke a tropical and upbeat sound, while Freezeezy Peak instantly conjures up thoughts of Christmas and the holiday season. An instant favourite is Bubblegloop Swamp, which now booms with gusto, replacing the simple xylophones and animal sounds with triumphant horns. Video game music certainly has the ability to have a nostalgic effect on us, and Banjo-Kazooie Symphony most certainly excels at this. With around 72 minutes of delightful orchestrated music, the album is a diverse and entertaining listening experience. In fact, it’s all too easy to just sit through the entire recording without realising where the time went. Blake Robinson’s Banjo-Kazooie Symphony is essentially the “Super Mario Galaxy-ification” of the Banjo-Kazooie franchise. What were once basic, yet catchy tunes as a result of the Nintendo 64’s limited hardware, are now epic orchestrated renditions bursting with emotion and life; fans of the game have no excuse not to give this a listen. Each track has been carefully and meticulously recreated to make the most of the orchestral sound on offer, and the quality suggests that this is a soundtrack that should have come from Rare itself. In fact, should we ever see a remake of the original N64 classic, we can only hope that the soundtrack is at least half as good as this Blake Robinson masterpiece. An advance copy of the album was provided by Blake Robinson. It will be released on Friday 31st May on iTunes and LOUDR, with a price of $10. 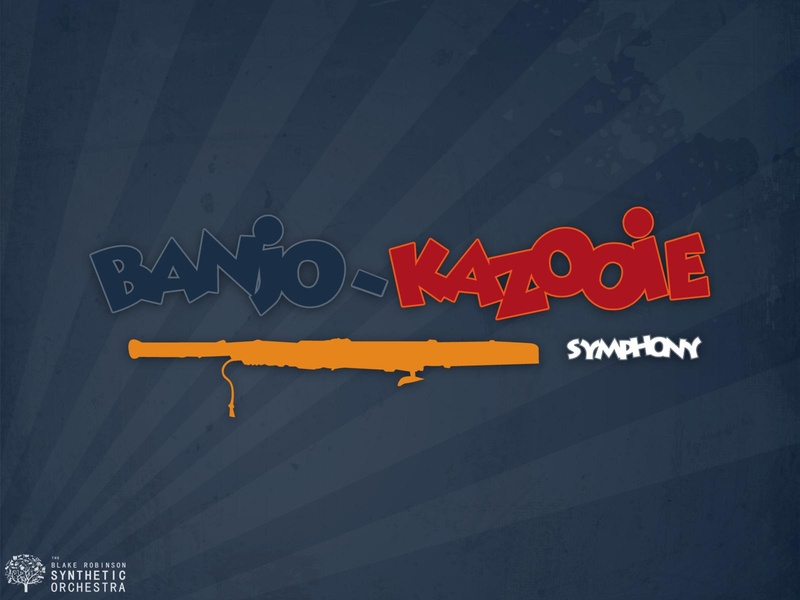 If you want to learn more, check out the official Banjo-Kazooie Symphony website. I can't wait to hear this! I'm a big fan of the music in the Banjo games! A match made in heaven, really. I'm interested in hearing the outcome, especially with how quirky the Banjo-Kazooie OST is. @grenworthshero: It's one of the best 3D platformers out there. If you own a 360, you should just download and try it. Otherwise there is still a tiny amount of hope, it will someday available on Virtual Console. @Bluezealand I still have a N64, so I'd buy it on that if at all. I'd never give Microsoft my money, especially after this new reveal in which they try even harder to screw every one of their consumers. From what I've heard from the preview these tracks sound really good, I'd ;ove to see what he could do with Tooie. I have always felt that the Banjo Kazooie series has some of the most memorable music in all of gaming. Jet Force Gemini has an excellent soundtrack as well, it is a shame it never got a sequel as the original is one of the best sci-fi games I have ever played, and I feel even current gen games can't match it! As a classical musician and Banjo Kazooie fan, I am super excited for this one! Banjo Kazooie and Banjo Tooie were two of my absolute favorite games from my childhood. I dearly hope that they make it onto virtual console. Oh man, I really can't wait for this. I love Banjo-Kazooie music in general, and the Nuts & Bolts soundtrack was fantastic, so more orchestral B-K music is okay by me! The samples on the website sound wonderful. Pretty excited for this one. I've listened to the snippets he has online and they sound pretty good so far. Does it include any music of the second game, even if repeats from the first?